Dental conditions can be complex. As such, Dr. Bruce Gopin strives to use advanced technology at his El Paso, TX, practice to ensure his patients receive the highest level of care. During the diagnostic and planning processes, these tools can be especially beneficial. One such tool is a dental 3-D scanner, also known as a cone beam computed tomography (CBCT) scanner. This technology gathers highly detailed images of your entire mouth for exceptionally accurate diagnosis. These images are also useful in planning precise treatment by identifying exactly where dental work is needed for the best possible results. 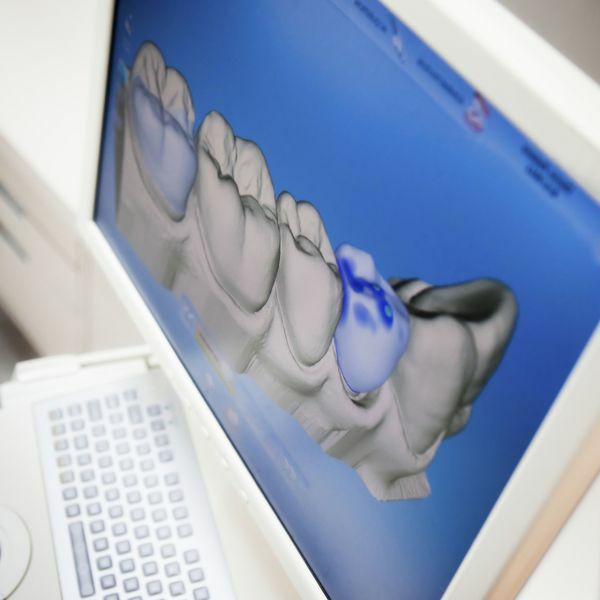 A 3-D scanner can help our team design your dental care with high precision. What is a 3-D Scanner? The machine itself has a rotating scanner that moves around your head while you are in a stationary position. Detailed, High-Quality Images: 3-D images provide a closer look at the inner structures of the mouth and skull. This allows the doctor to see exactly where the issue is occurring for an accurate diagnosis. Precise Treatment: The doctor can also clearly see the structures that may be affected by treatment to determine how the procedure will need to be performed. Using 3-D imaging ensures the utmost precision which can not only help improve the success of your treatment but can minimize the impact on the surrounding tissues, as well. Quick & Comfortable: Often, a 3-D scan can be taken within a few seconds. It also does not require the traditional, plastic intra-oral sensors which are often uncomfortable for patients. Less Radiation: Since a CBCT scan is usually completed quickly and in one simple scan, patients are exposed to less radiation than with a traditional x-ray. While digital x-rays are sufficient for many treatments, some procedures can substantially benefit from the use of 3-D imaging. Depending on your symptoms or condition, Dr. Gopin will determine whether 3-D imaging is necessary. This technology gathers highly detailed images of your entire mouth for exceptionally accurate diagnosis. Using this information, he will design your dental implant surgery to provide a reliable foundation for your restoration. Dr. Gopin strives to provide his patients with effective, durable dental care solutions and uses the latest technology at every opportunity to accomplish this goal. Ensure that you receive the best oral health care, contact us online or call us at (915) 533-4608 to schedule your consultation. We believe everyone deserves to have a healthy, beautiful smile, which is why we offer financing options to all patients.